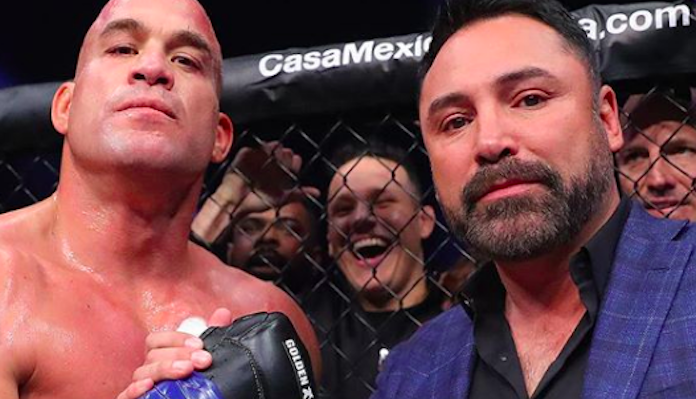 Last weekend, in the main event of the first mixed martial arts card promoted by Oscar De La Hoya’s Golden Boy Promotions, former UFC light heavyweight champ Tito Ortiz stepped into the cage with his arch rival Chuck Liddell for a third time. In this third fight, Ortiz finally got the victory over Liddell he’d been seeking, melting “The Iceman” with a first-round heater. 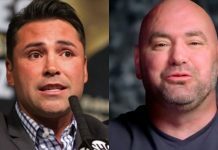 Unfortunately, Ortiz’s long-awaited win over Chuck Liddell has been somewhat marred by controversy, as some members of the MMA community feel that the 48-year-old Chuck Liddell, who had not fought since a string of knockout losses initially forced his retirement eight years ago, should not have been anywhere near another fight. 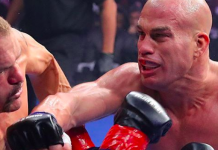 Speaking on Instagram on Monday night, Tito Ortiz addressed his haters and explained why he took this fight with Chuck Liddell. 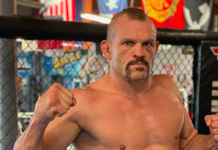 I’ve had some time to think about this fight verse @chuckliddell How it came to be? This is something that chuck wanted I was ok doing my businesses. He called me out. Yes I agree and help make it happen with @goldenboyboxing . I took this fight very serious that’s why I put in a 18 week camp. 3x a day 6 days a week. I sacrificed everything. I was willing to put my life on the line. One year ago I had 3 level disk replacement in my neck. Plus 7 other major surgeries since 2009. But was still willing to take a chance against someone who beat me twice before. There is not quit in me. I have made mistakes and I have learned from them. That’s life! I want to fail so I can learn to better myself. I have lived my life with ups and downs but at the end of the day I keep learning. I wish more people would. Having everyone saying why are you fighting chuck again he beat you twice? 1. He called me out 2. I always wanted redemption. 3. I’m here to prove my fans were right and the haters were wrong. 4. An opportunity to start a new organization that will take care of the fighters as they should be. I showed the world what hard work and dedication can get you. I’ve never been so nervous before a fight like this one but I knew I was ready. The mind games that chuck was playing made me work harder. So thank you chuck. I was in a lose lose situation but I was willing to gamble with my health. Chuck said he was ready I knew I was ready, may the best fighter win. In this case it was me. I need to thank all my fans,friends and family that supported me for this fight. I couldn’t have done it without you! I respect chuck for stepping up and following through with the fight. You’re a champion and hall of fame legend that brought the best out of me! Sorry to all your fans I was on a mission. – Tito ORtiz on Instagram. 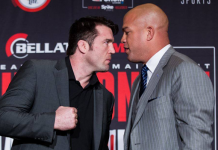 What do you think of this statement from Tito Ortiz? 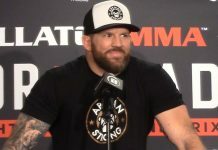 Do you think he and Chuck Liddell should have fought for a third time?